Since bringing Lady T home two years ago, we have been daydreaming about taking an extended cross country trip to visit the big national parks. We didn’t really have a plan for our current trip but after picking up our national parks passports in North Carolina, we’ve decided to visit as many national parks and monuments as possible. Today, we added another cancellation to our collection when we visited Kennesaw Mountain National Battlefield Park in Marietta, Georgia. The Battle of Kennesaw Mountain was part of the Atlanta Campaign in the Civil War and roughly 4000 Americans lost their lives. We watched a short movie about the history of the mountain at the visitors center and then hiked a mile or so to the top. During lunch, I searched online for a scenic area to camp and found Cheaha State Park in Delta, AL. I probably should have paid more attention to the location because Cheaha is situated on the highest point in Alabama, at 2,407 feet! Rolling up and down the steep inclines reminded us of trying to make it through the Sierra Nevada last year at 25 miles an hour. And Wyoming. And Colorado. Oh, and Kansas. Anyway, Lady T is in the best shape ever and she made it up to the top with no problems! After checking in, we actually had to drive a few miles back down to the lower campground. The camping area wasn’t very accommodating and we decided to move to another spot because Lady T wasn’t going to fit in the site that was assigned to us. There was no one else around except the camp host and since there was no internet signal, we spent a quiet evening relaxing. Tomorrow, we’re going to attempt to bring Lady T to the top Cheaha Mountain…stay tuned! 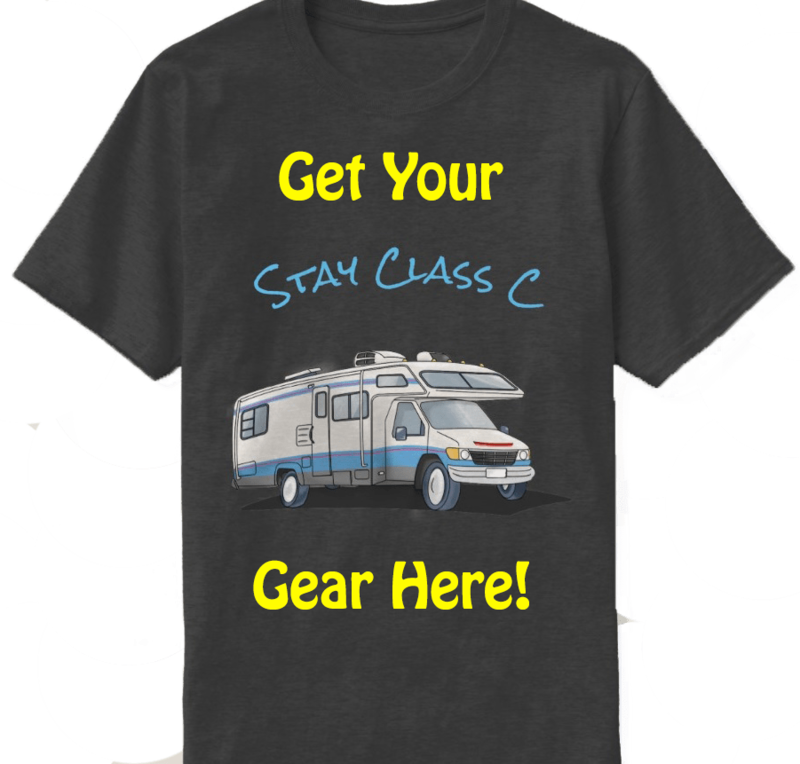 There are many wonderful reasons for owning a motor home. The freedom of travelling in an RV on the open road is unparalleled. However, there are some pesky disadvantages and we ran into a big one today. Our plan was to drive to Athens and walk around for a bit, then head to Atlanta to visit the Martin Luther King Jr. Memorial and whatever else we could squeeze in. When we arrived in Athens, we quickly saw that is was going to be difficult to move around. Athens is a densely populated college town and the roads were a bit congested. Shortly after leaving the highway, we pulled into a gas station and called the local parking authority to ask about RV parking. Apparently, there isn’t any! The women Jay spoke with suggested we could get a permit from the local courthouse. That wasn’t going to happen so, unfortunately, we had to keep moving. We arrived in Atlanta around 4 PM and luckily, the parking area for the MLK memorial was right off the highway, We parked Lady T in the nearly empty lot and walked the short distance to the visitors center, There, a nice gentleman helped us with getting our passports cancelled and then provided a brief overview of the area. We visited Martin Luther King’s birth home, Ebenezer Baptist Church, where MLK preached his first sermon, the Peace Garden, and the reflecting pool where he and his wife are laid to rest. After the memorial, we mulled over going to downtown Atlanta but the traffic was already beginning to get ugly, so we decided to move on. We agreed that if we ever came back this way with Lady T that we would stay somewhere outside of the city and rent a car to explore. The Walmart in Marietta was our home for the evening and it started to rain as soon as we were settled in, We are getting used the daily spurts of precipitation that seem to run on a timer here in the South and although a little messy to drive in, they have offered a welcome respite from the hateful sun. By the way, it turns out the air conditioner in the cab overheated last evening and is working fine now, so Lady T is cool as a cucumber! Not really sure where we’re headed tomorrow so y’all have to come back to find out! I’d like to begin this post by complaining about the Georgia heat but it’s currently hotter in Lowell! The Carolina Cider Company in Yemassee, SC was featured in the cookbook “Off the Eaten Path” by Morgan Murphy and sells one of the best pecan pies in the Southeast. Unfortunately, I couldn’t have any pie but we stopped and picked up several other goodies in this wonderful country store. Peach cider, glazed pecans, boiled Cajun peanuts…this is southern eating! Jay also bought me a sweetgrass basket. Sweetgrass baskets, which are a big part of Charleston culture, originate from West Africa and are mostly made along Route 17. This Gothic style church serves thousands of Catholics in the Savannah area and portrays scenes from the Bible with stunning murals and stained glass. You can’t help but be moved by the images, regardless of your beliefs. I sat at the front for a short oral history of the cathedral while Jay took pictures. According to the visitors center, Jones Street in Savannah is one of the prettiest streets in America, After the cathedral, we decided to check it out, passing through several of the city’s famous squares. Jones Street is indeed one of the prettiest streets I’ve ever seen, However, we’re not experts so you’ll have to check it out someday for yourself! Our last stop was Forsythe Park, which has a huge fountain and is also home to the Candler Oak, the oldest live oak in Savannah. Despite the heat and intermittent rain showers, we had a nice time. As early evening set in, we bid farewell to Savannah and pointed Lady T toward Tybee Island. Tybee Island is the easternmost point in Georgia and home to Fort Pulaski and the Tybee Island Lighthouse. Unfortunately, we arrived a little too late to tour the fort so we moved on to the lighthouse and were able to get close enough to for several good pictures. Afterward, we walked down to the beach and watched the sunset from a swinging bench built in the sand. Leaving Tybee Island, we set the GPS for a Pilot/Flying J in Dublin, GA but when we arrived there about three hours later, we found that it was just a Diddy mirage. That made us 0 for 5 and out of gas. Luckily, we found a gas station, got some ice, and pulled into another Walmart just as the air conditioner overheated. Stay tuned tomorrow to find out if we’ll be spending the day on the road or at a mechanic!